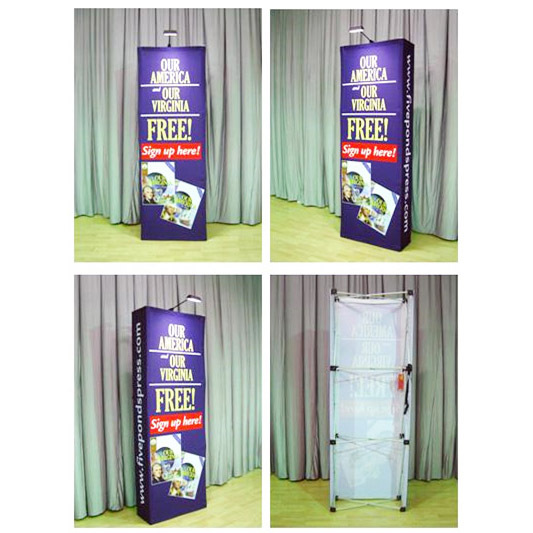 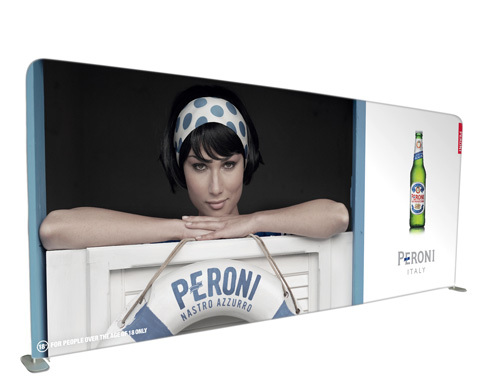 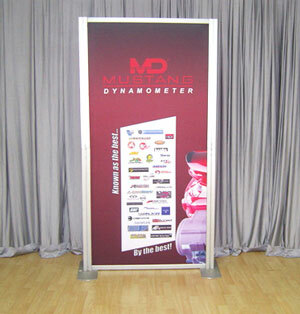 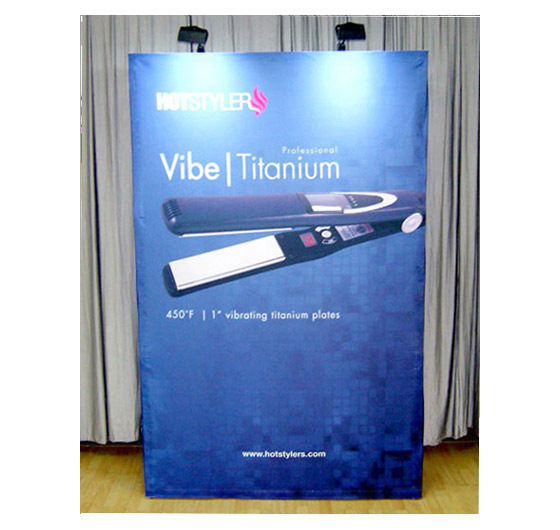 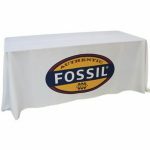 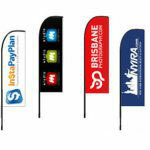 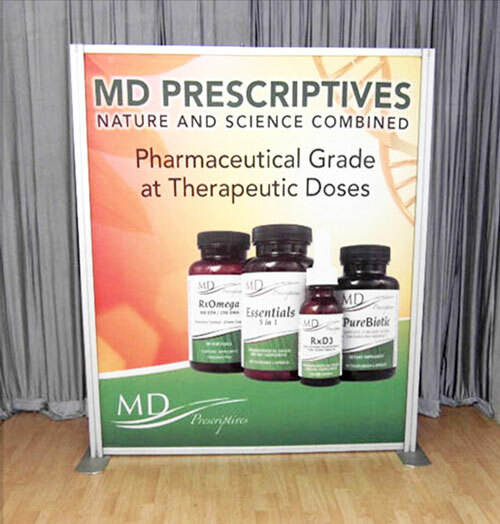 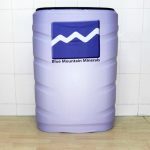 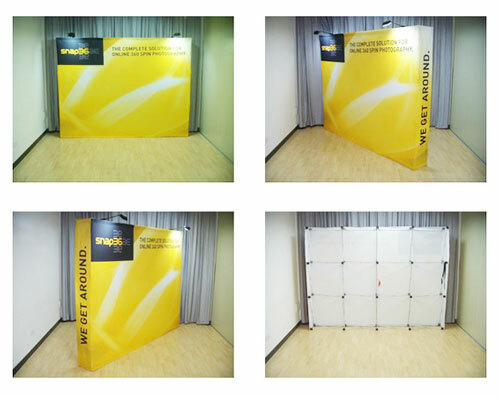 An exhibition backdrop is a truly effective way of advertising your products and services at shopping malls. 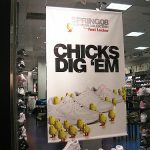 Shopping malls are where your customers at if your target audience is local. 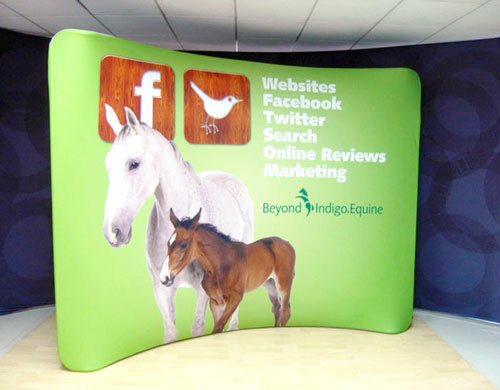 On the downside, though, you have to compete with other businesses fighting for your audience’s attention. 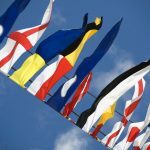 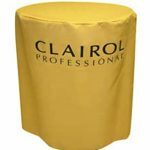 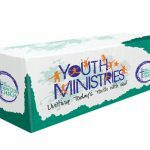 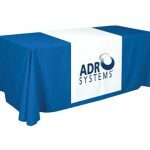 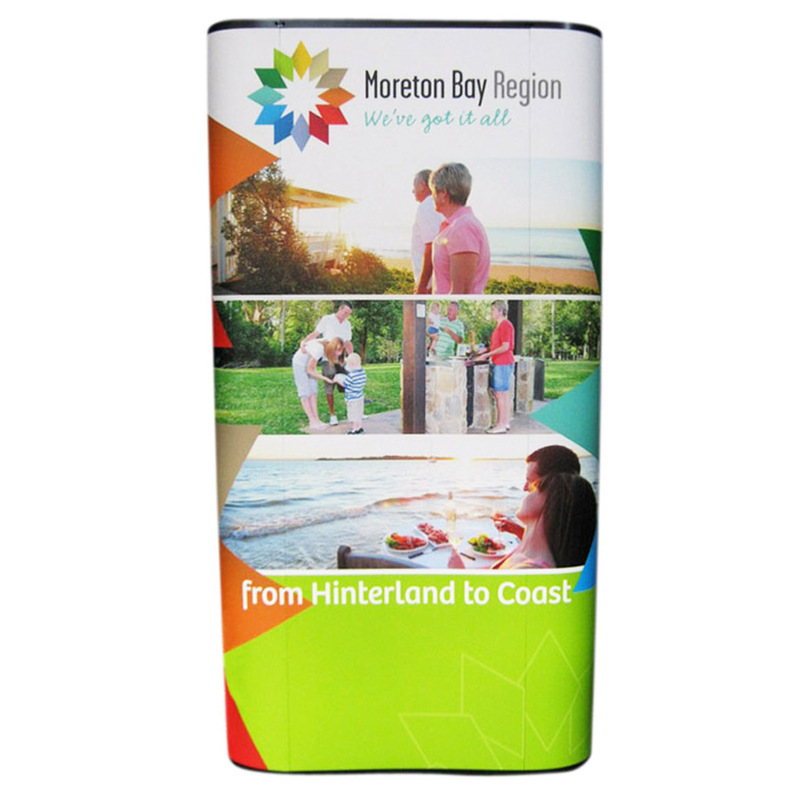 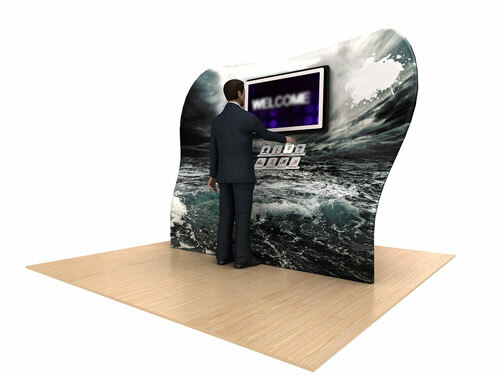 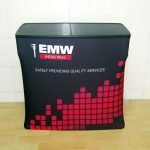 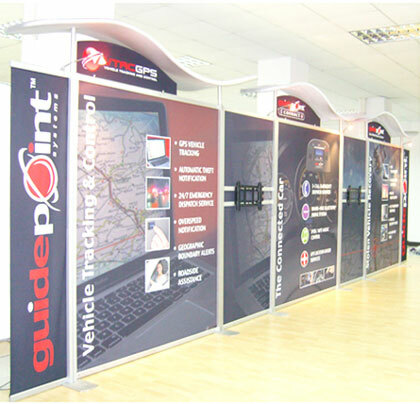 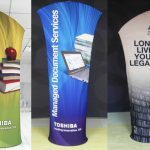 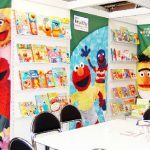 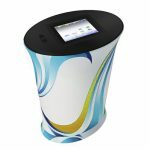 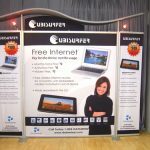 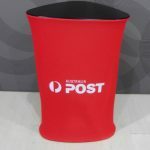 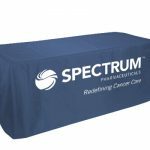 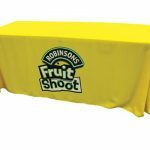 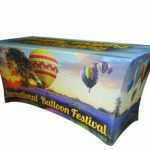 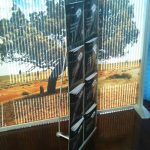 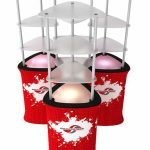 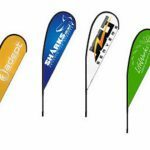 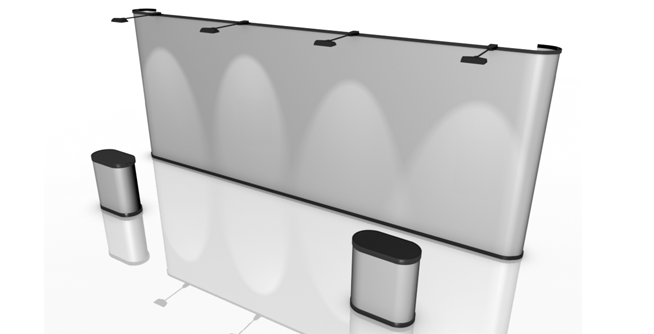 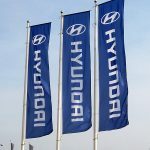 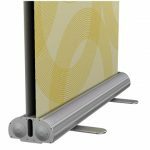 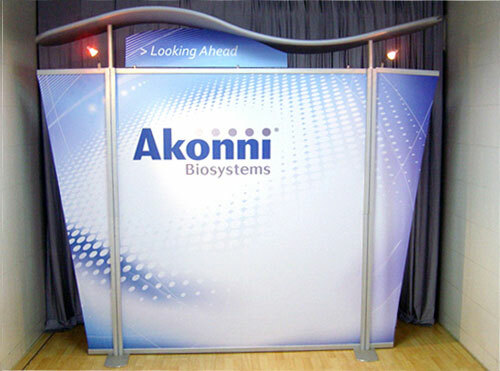 With your displays on exhibition using a large and attractive 2×3 curved fabric wall, you increase your chances of being noticed by your customers and get them interested in what you have to offer them. 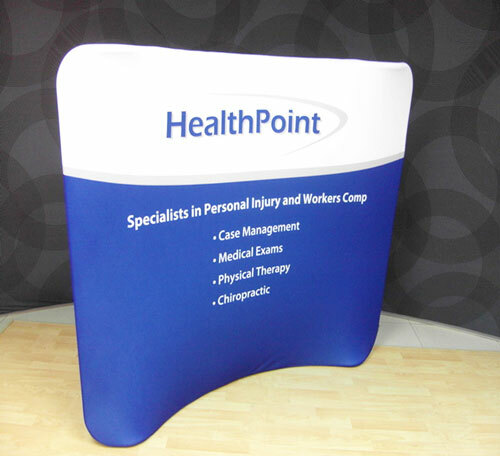 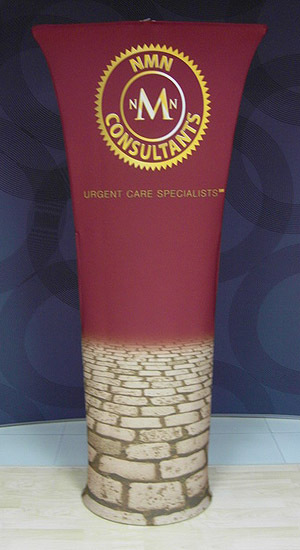 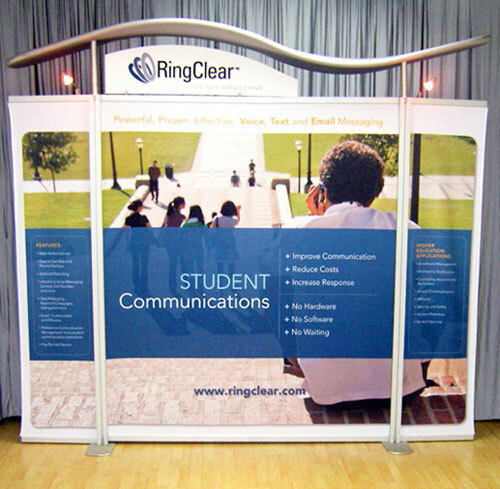 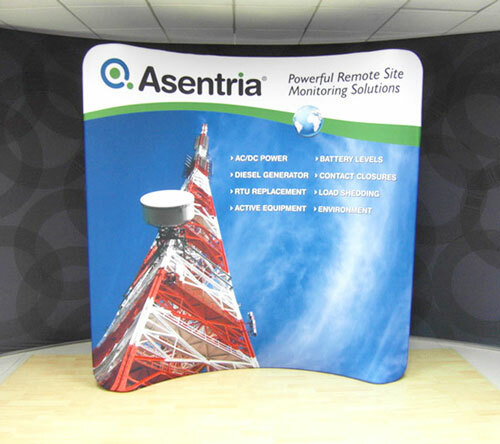 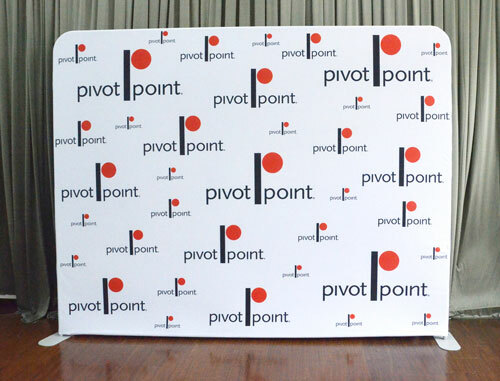 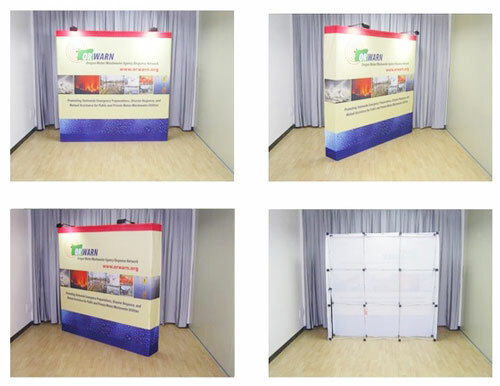 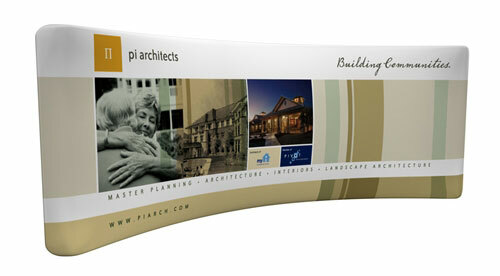 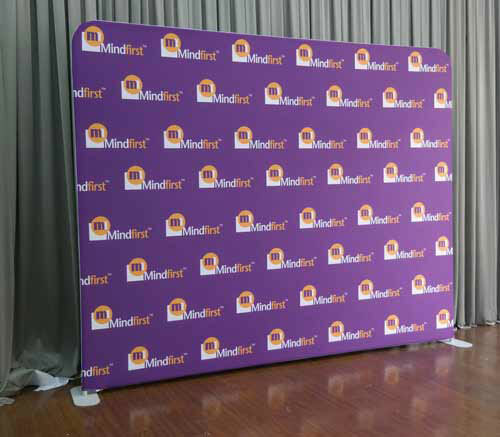 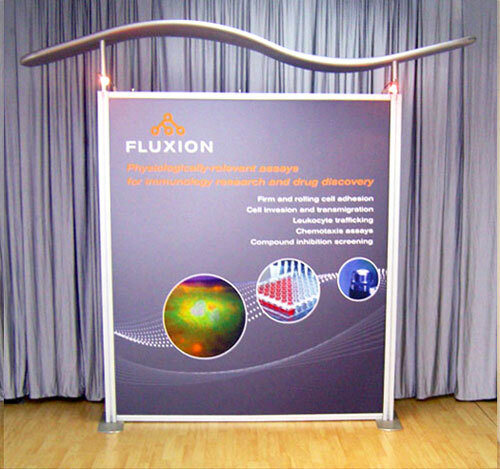 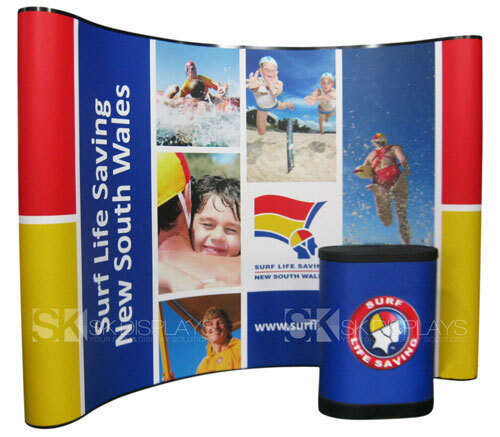 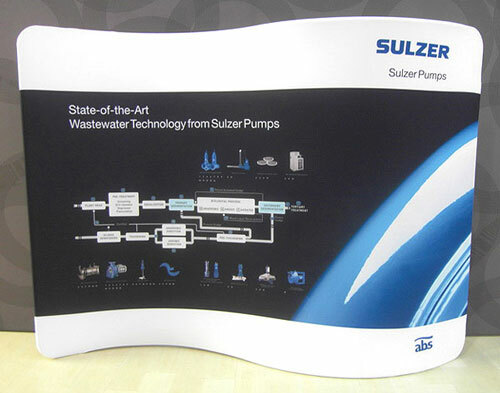 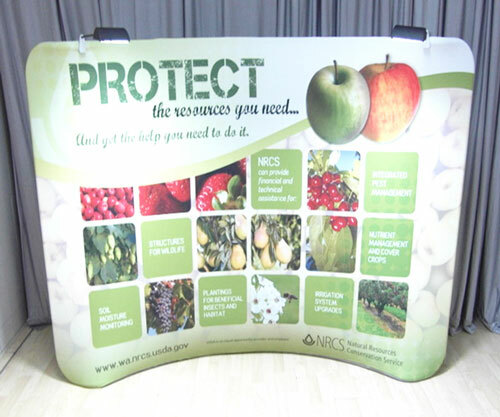 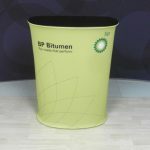 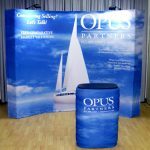 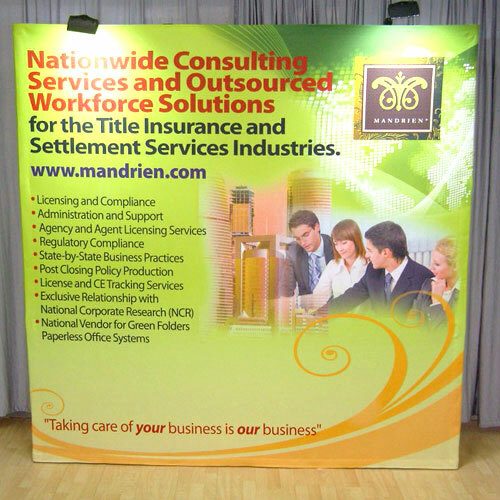 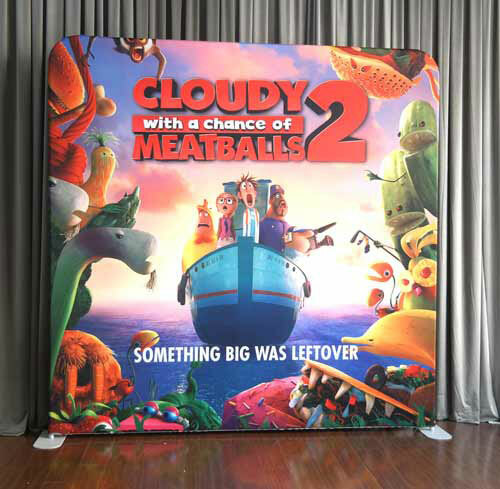 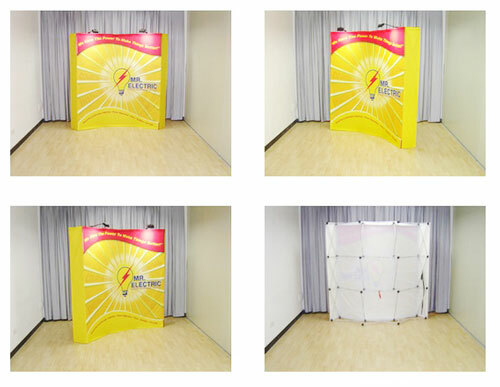 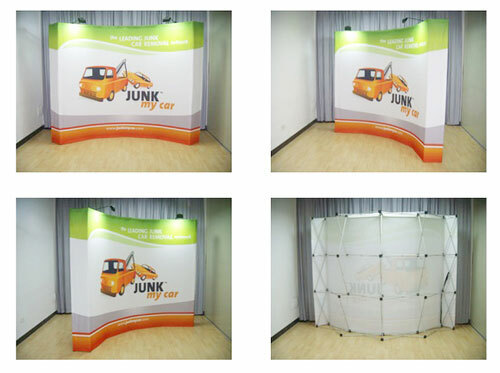 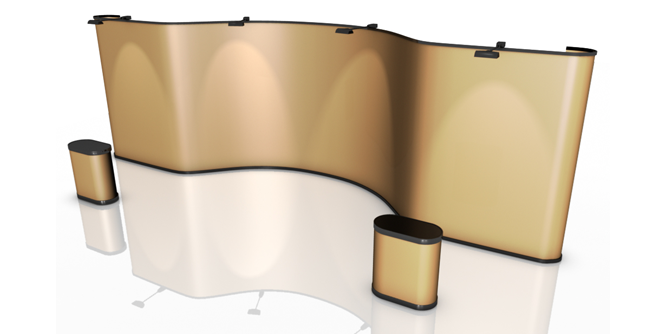 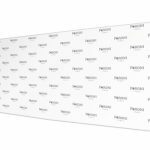 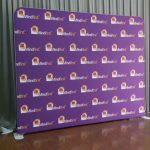 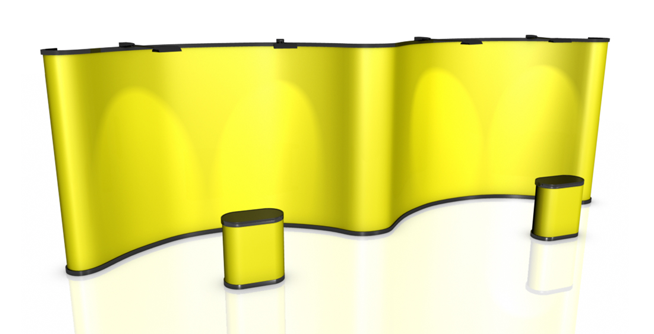 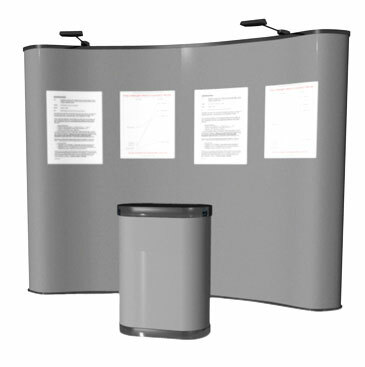 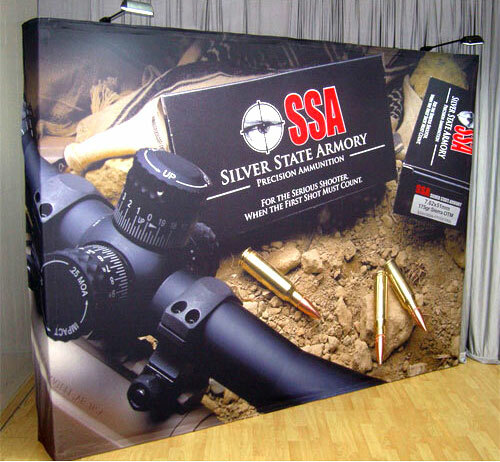 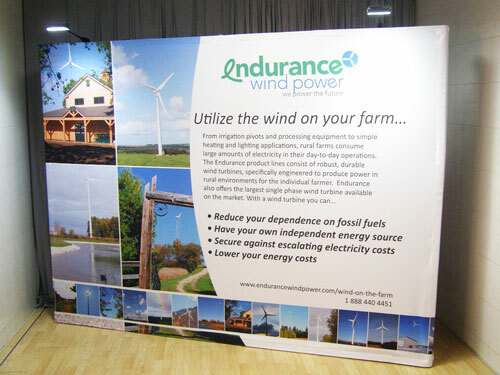 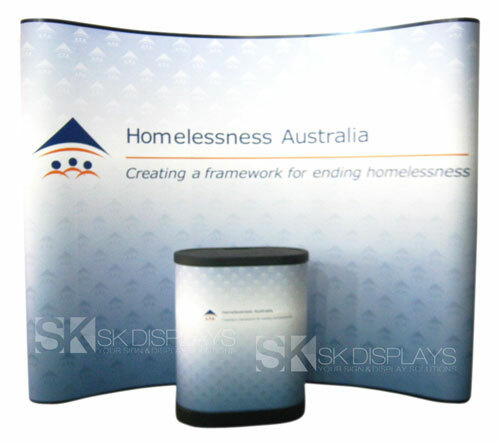 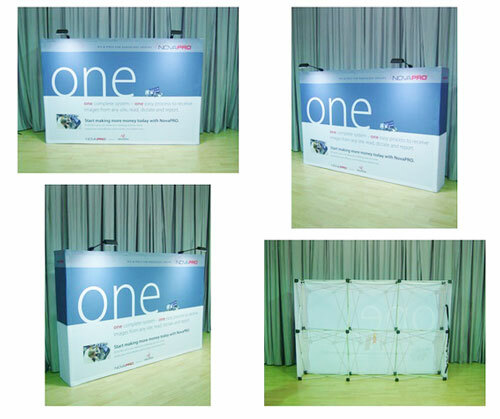 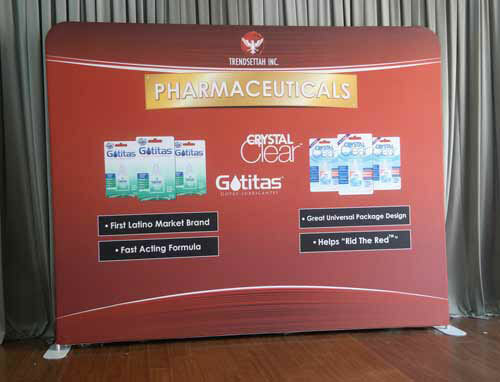 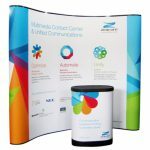 Our exhibition backdrop is a 2×3 curved pop-up fabric wall, simple in design yet stylish and attractive. 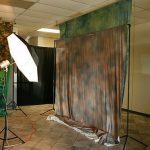 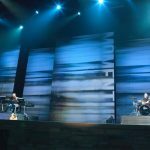 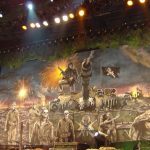 Each backdrop has a silver-polished frame and a fabric graphic attached to it. 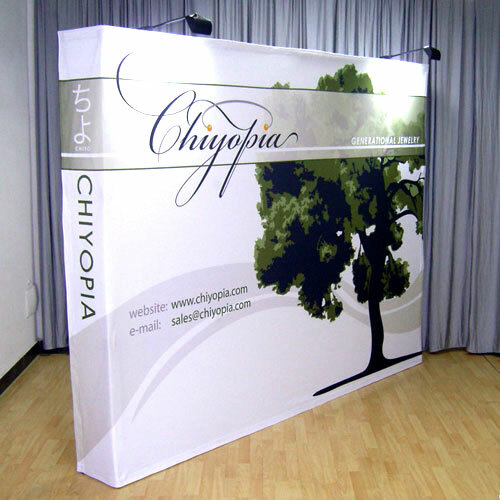 The frame is two cubes high and three cubes wide, with the following dimensions: 2300mm/W x 1524mm/H. 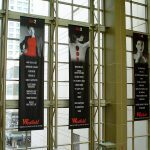 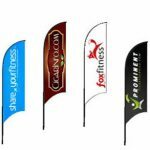 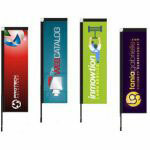 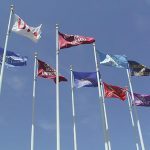 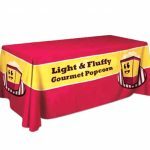 It is the ideal size for mall advertising banners. 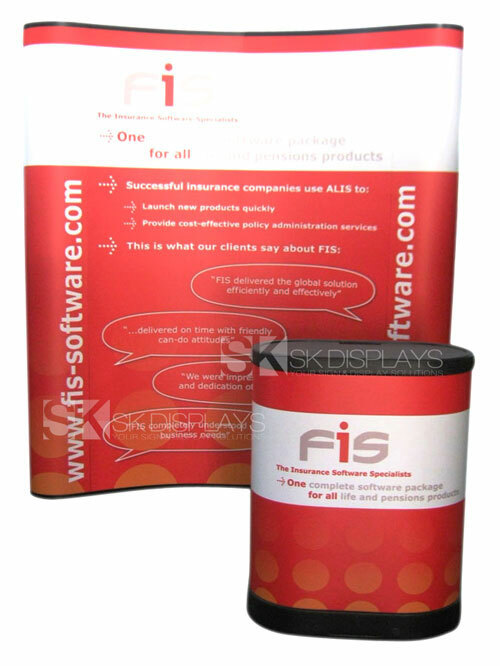 The fabric graphic is in full colour. 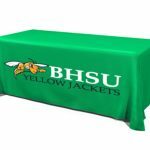 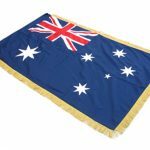 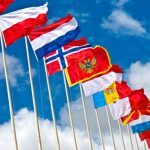 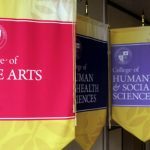 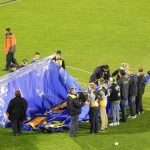 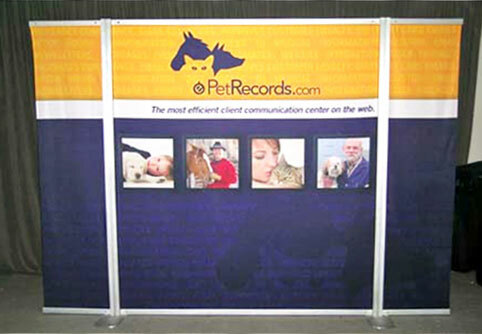 You can have it single-sided, covering only one side of the frame, or double-sided, wrapping around the entirety of the frame. 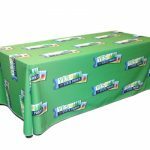 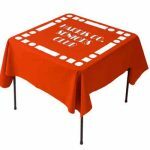 The fabric graphic has Velcro strips to keep it in place. 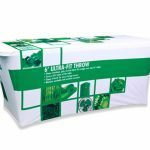 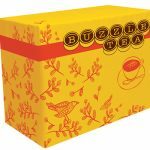 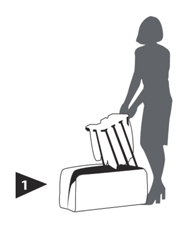 The entire set comes packed inside a carry bag so it can be transported or stored easily. 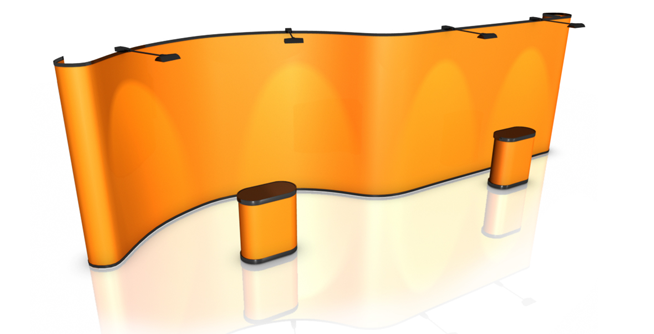 We have optional halogen lights available if you want spotlights to complement your display. 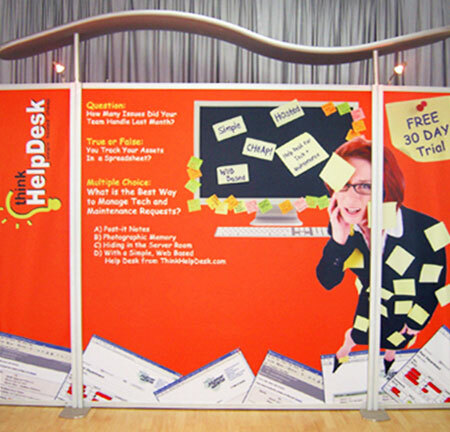 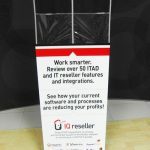 The biggest advantage you will enjoy with our exhibition backdrop is it saves you a lot of time. 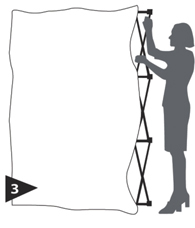 You can put up the entire setup in less than five minutes. 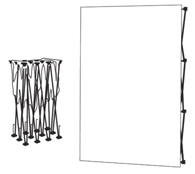 To set up the backdrop, you only need to take the frame out of its carry case. 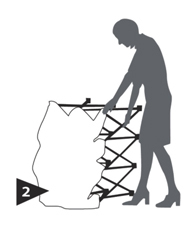 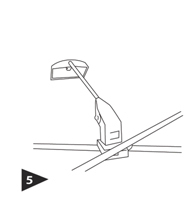 You then pop it up so it expands to its full size, and then you fasten its hooks at the back and let out its feet. 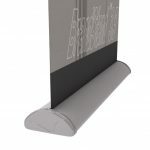 Once you’ve got the frame straightened out, you pull at the fabric and attach its Velcro strips to the corresponding strips on the frame. 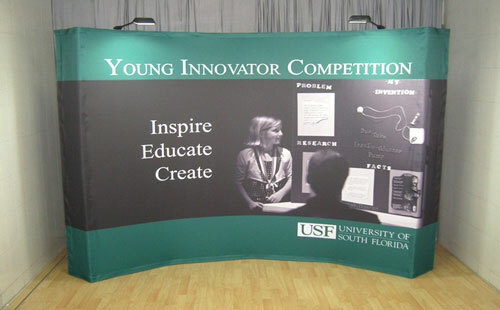 Additionally, the frame of this backdrop is entirely reusable. 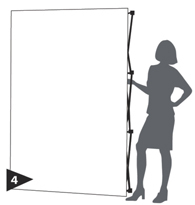 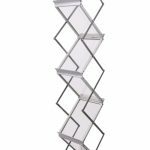 If you need to put up a new display, you can still use the frame. 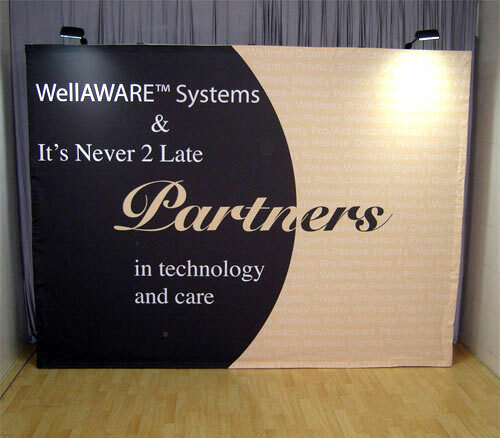 Just replace the existing fabric graphic with a new one and you’re good to go. 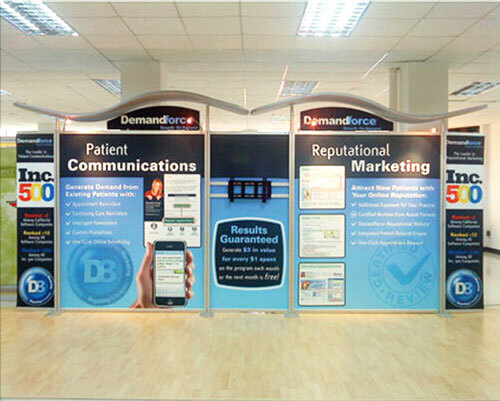 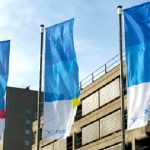 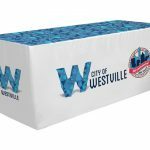 Our exhibition backdrop will easily catch your audience’s attention at shopping centres and leave a strong impression in their mind. 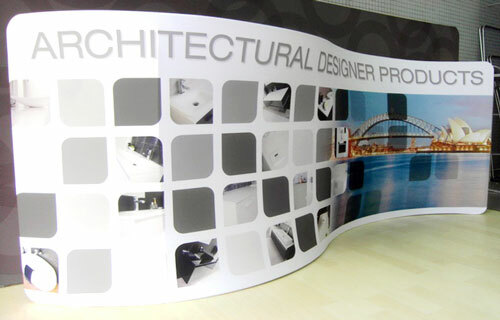 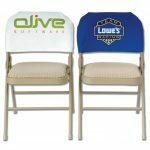 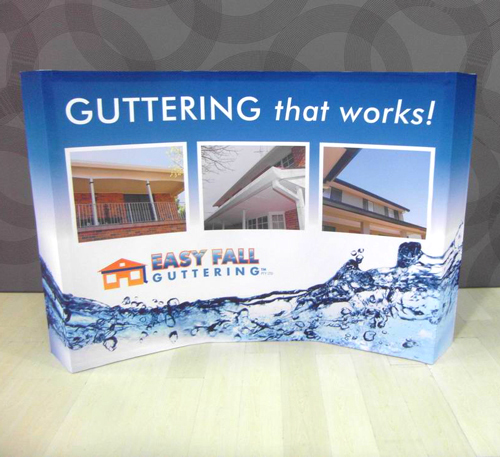 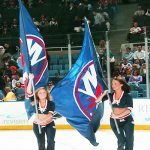 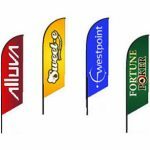 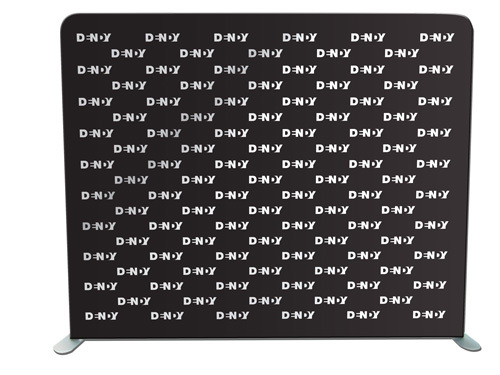 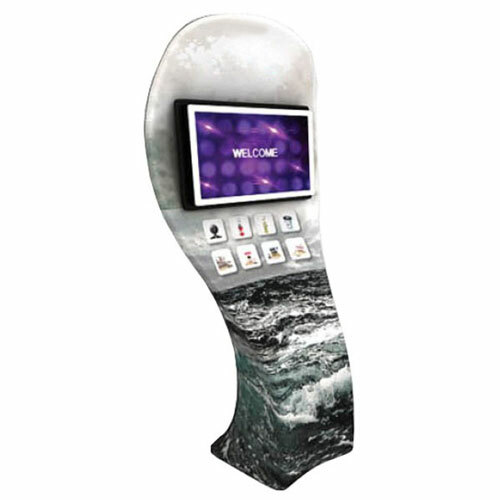 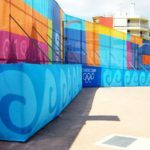 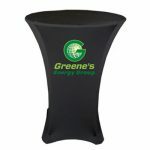 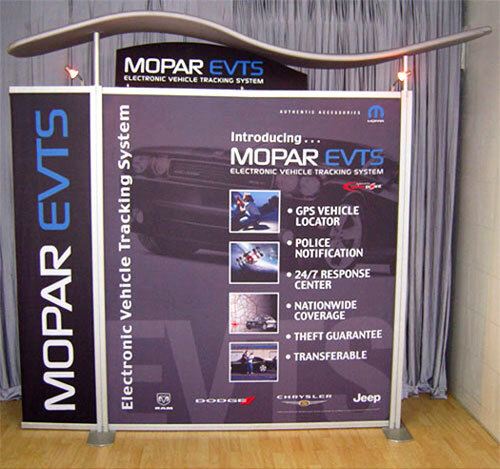 Call us now and find out how you can take advantage of these curved fabric wall displays.